The BlackRapid Hybrid Breathe Camera Strap is designed be worn across a right-handed user's body, draped from the left shoulder to the right hip. A connected camera can then rest upside-down along the right hip so that it can be quickly raised for use. This strap's large, moisture-wicking shoulder pad can also accommodate a second, detachable webbing which is included so an additional camera can be connected and allowed to rest upside-down along the left hip. 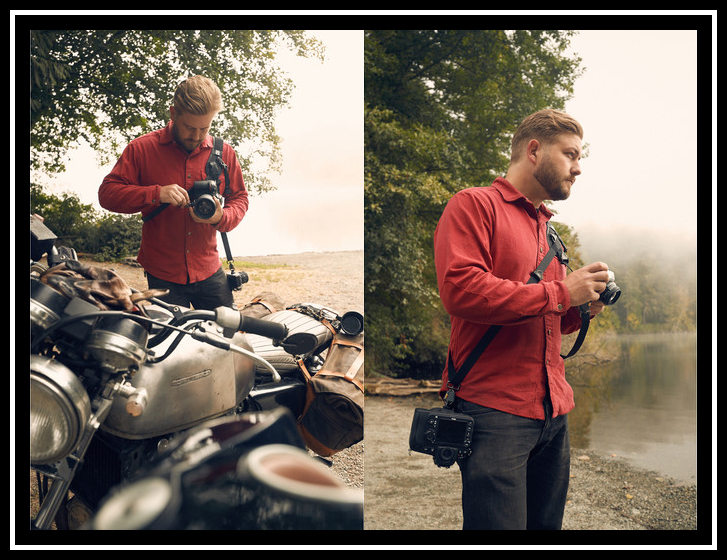 Additionally, the Hybrid Breathe Camera Strap is an effective option for larger-build photographers who intend to move quickly on flat or rugged terrain. 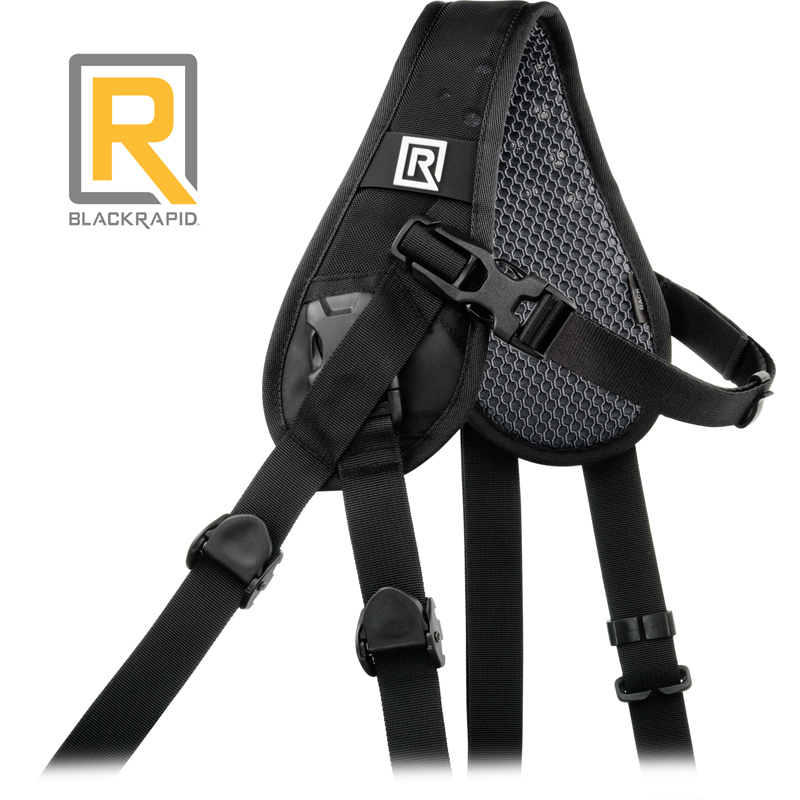 The Hybrid Breathe further stabilizes an attached camera resting along the right hip when used with its included BlackRapid Brad Breathe Stabilizing Strap. The Brad Breathe secures this camera strap under the user's left shoulder and prevents a camera resting along one's right side from twisting. When camera movement along the wearer's right side is less of a concern, the Brad Breathe is easy to remove. To attach to a camera or a lens, both of the BlackRapid Hybrid Breathe Camera Strap's webbings feature a durable, brass and zinc-alloy CR-3 ConnectR locking carabiner. Also provided is a BlackRapid FR-5 FastenR Breathe for every carabiner. Each FR-5 FastenR Breathe creates a connection point using a camera or lens's 1/4"-20 tripod mount and has a large, integrated D-ring for easy use with BlackRapid webbings that utilize a CR-3 ConnectR. The length of each webbing is adjustable from 36.0 to 63.0" and measures up to 1.0" wide. Spring-loaded bumper locks that can be slid up and down the length of the strap's webbings make it especially easy to limit excess camera movement when using the Hybrid Breathe. Box Dimensions (LxWxH) 10.2 x 4.3 x 2.8"